Ukrainian officials have petitioned Orthodox Christian leaders to allow them to create a national church independent from Russia — in a bid to end more than 300 years of Moscow’s influence over religious affairs in their country. To the plan’s supporters, this creation of an “autocephalous” church would be a major step in Kyiv’s campaign to break free from Russian hegemony. “We see the restoration of neo-imperial ideas in Moscow,” said Archbishop Yevstraty Zoria, spokesperson for the Ukrainian Orthodox Church of the Kyivan Patriarchate, to Euronews. But critics warn that such a move would risk greater division in Ukraine and throughout the Orthodox world. Religion is a serious, and somewhat confusing, business in Ukraine. More than two-thirds of the population follows the Orthodox canon, which plays a central role in the country’s public life and self-image. Ukrainians have three Orthodox churches to choose from (and one denomination, the Greek Catholics, who follow the Eastern liturgy, but profess loyalty to the Vatican). Only one of the Orthodox churches is considered “official”, however: the Ukrainian Orthodox Church of the Moscow Patriarchate, which functions as an autonomous denomination within the Russian Orthodox Church. This Ukrainian church is self-governing, but shares a “prayer community” with its mother church in Russia, officials say. To many patriotic-minded Ukrainians, though, the idea that Moscow has any involvement in Ukraine’s religious affairs is an anathema. And given the close ties between Russian Orthodoxy and the Kremlin, they believe this translates into political sway as well. The religious ties between the two countries date back more than a thousand years to a time before there was even a Russia or Ukraine to speak of. Both nations trace their historical heritage back to Kyivan Rus, a medieval state that was centred in Kyiv and, in 988, adopted Christianity, establishing Orthodoxy in the eastern Slavic lands. Ukrainian territories later became part of the Russian empire and Ukraine’s church was subordinated to Moscow in the late 17th century. After the breakup of the Soviet Union, however, the issue of an independent Ukrainian church became front and centre. Some Ukrainian religious leaders broke away from the Moscow Patriarchate and created their own independent body, which they called the Ukrainian Orthodox Church of the Kyivan Patriarchate. In addition, there’s also a so-called Ukrainian Autocephalous Church, which was created in the early 20th century, but has attracted only a small following. Neither church is considered “canonical” or official, however, since no other Orthodox church has recognised them. Moscow Patriarchate officials consider the two institutions “schismatic”. But according to some opinion polls, the Ukrainian Orthodox Church of the Kyivan Patriarchate has grown to be the country’s largest denomination, despite its unsanctioned status. And now, thanks to Ukraine’s ongoing conflict with Kremlin-supported and supplied separatists in the country’s East, the Kyivan Patriarchate — seen as a homegrown response to Russian encroachment — has watched its number swell further. The movement to create a national Ukrainian church dates back decades, though so far it has failed to move beyond the discussion stage. In this latest drive, Poroshenko met with Constantinople Patriarch Bartholomew in April and announced that his government would sponsor yet another application for autocephaly. The idea would be to create a separate national church, which the two breakaway churches, and possibly parts of the Moscow Patriarchate, would join. The process is complicated, however. Unlike Roman Catholicism, Eastern Orthodoxy lacks a central leader. Instead there are a number of individual autocephalous and autonomous churches. The Patriarch of Constantinople is regarded as “first among equals,” and while his opinion carries particular weight, many decisions must be reached unanimously among the sister churches. Nevertheless, Ukrainian officials anticipate this time a positive decision, which could be delivered before the 1,030-year anniversary of Christianity’s arrival to Ukraine at the end of July. “If the Constantinople Patriarchate didn’t decide to recognise the schismatics 10 years ago, then nothing has changed in that time, and this doesn’t hold any canonical possibilities for today,” said Archbishop Vecheria. Some observers believe that the creation of an autocephalous Ukrainian church could throw up a whole new set of complications, which would be enough to convince the Patriarch of Constantinople to once again pass on taking a decision. 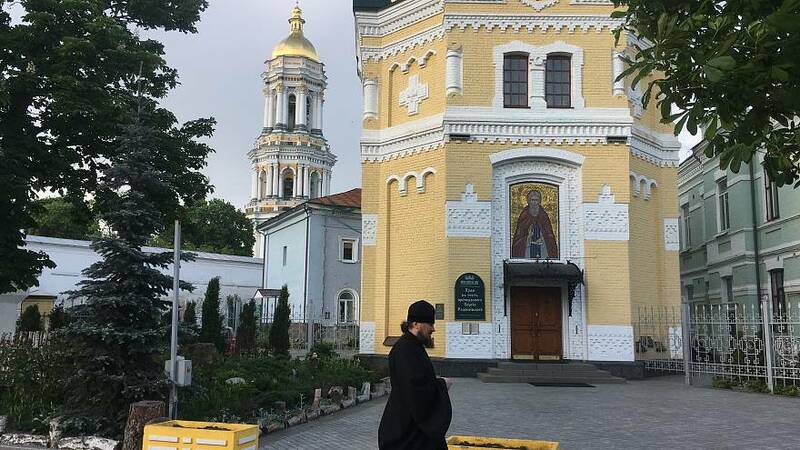 “This would create the risk of another division in the Ukrainian Orthodox Church – just another configuration,” said Lyudmyla Shangina, an expert with the Razumkov Center think tank in Kyiv. Other analysts think this latest push for autocephaly was in its essence a political ploy by Poroshenko, who faces re-election next year. Successful or not, the fact that he tried to create a national church could help bolster his poll figures among the nationalist and religiously minded. The petition’s supporters are not giving up hope yet, though. And even if they fail in this attempt, their goal of a recognised Ukrainian autocephalous church remains alive, if only for the blow it would deal to Russia.